Entertainment Business Unit Rebrands from Corporate Marketing Solutions to Rewards & Incentives and Launches New Website. 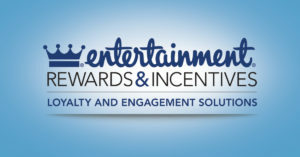 Entertainment® Rewards & Incentives has combined their exclusive discount database and delivery options, with data-driven marketing solutions and client services to build unique reward and incentive solutions. The comprehensive rebrand elevates the focus on customized loyalty and engagement solutions for businesses at all stages of the customer lifecycle and includes a new logo, positioning, and website. Three ways companies can craft loyalty programs that offer meaningful rewards and other benefits of membership that are sure to bring a smile to their customers’ faces. How loyalty programs play a critical role in a company’s success and why it works. Supply customers with highly personalized, valuable rewards. It is no secret that for any relationship to be (and remain) successful, the relationship must be a priority. Reflection should always take place as to how the relationship can be improved as well as maintained.